Jan Barbas interviews Roger Thompson who is challenging incumbent Jim Relaford for Position #2 on the Brookings-Harbor Port Commission in the upcoming May 19 primary election. 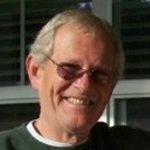 You can hear Jan’s interview with Jim Relaford HERE. Curry Coast Community Radio is pleased to bring you a wide ranging interview with Curry County Commissioner Susan Brown. Jan Barbas talks with Susan about her background, Curry County economic development, her public opinion survey about County government, and the county financial situation. Curry County is in the midst of an unprecedented financial crisis. Don’t miss this must-hear interview of one of the three County Commissioners who, more than anyone else, will decide the future of Curry County. Curry Matters’ Jan Barbas chats with Aaron Johnson, a volunteer firefighter at Cape Ferrelo Rural Fire Protection District. The interview begins with Aaron’s growing involvement with volunteerism and personal preparedness, and then moves on to talk about the exciting and challenging job of running a volunteer fire department. This interview will give you a new appreciation for the dedicated men and women who serve our community as volunteer firefighters. There’s a lot more to it than meets the eye. And don’t miss the exciting end of the interview! KCIW’s Jan Barbas, Connie Hunter, and Jim Newman speak to Curry County Sheriff John Ward, Operations Commander Lt. Mike Espinoza, and Jail Commander Sgt. Joel Hensley in an extended interview at the Curry County Jail for Curry Matters and KCIW, Curry Coast Community Radio. This is part two in our ongoing coverage of the Sheriff’s office, which faces a funding shortfall beginning in July, and seeks increased taxpayer support. We touch on veteran’s affairs, substance abuse and mental health, dive into the intricacies of jail design, and deliver insight into the daily lives of inmates and their jailers. Curry Matters is excited to bring you Brookings Mayor Ron Hedenskog and Port of Brookings-Harbor Commissioner Jim Relaford on the issues surrounding annexation. Mayor Hedenskog discusses the study that the city has commissioned and Jim Relaford tells us about the new measure on the Port’s February 17, 2015 agenda … and more. This is the inaugural show for “Curry Matters” on Curry Coast Community Radio, KCIW. It’s community radio. I, your host Jan Barbas, have never done anything like this before. 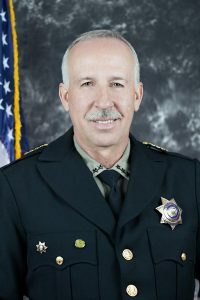 I didn’t ask my guest, Curry County Sheriff John Ward if he had ever done a radio show before, but my guess is that while he has probably been interviewed by local reporters when a story breaks, this is likely his first experience with an extended interview for radio or podcast. This is community. Real people, real challenges, the real faces of Curry taking a moment out to share with you, our listeners. At Curry Matters we’ll try to bring you the news makers in Curry County in their own voice. It’s a chance to get a little deeper and more personal look at the issues we face in our community. I’d like to thank Sheriff Ward for taking the time to do this first show, and I’d to thank our listeners for taking their time as well. We’d love to hear from you. Please let us know how you liked the show, who you’d like hear on a future show and what issues you’d like to know more about. You may leave comment in the 3C Radio General Discussion forum section of our website or on our Facebook page.